the will of Zeus was carried out. First, “several” translations is an understatement. Homer has been translated by countless people since Ancient Greek was rediscovered in the Middle Ages! I have no intention of sharing a full translation of my work because, for me, translation is a very personal matter. I oftentimes print out the text and make notes or jot down bits of translations on a notebook or scraps of paper. Oftentimes I translate silently to myself, or out loud when I ask one of the other two people I know who also know Ancient Greek what they think of a particular translation. My translations, I guess, are truly ephemeral. And what I saw in a text like Homer, when I first encountered him at the age of nineteen, is very different from how I experience his works now. Very different. But the point of the exercise for me is to interact with the text. Nothing focuses my attention—especially when I am sad or stressed out, etc.—like an ancient text. The cases, the word order, the verb tenses, the vocabulary—it is an all-consuming experience for me. The few translations I do share on my blog are, once again, very personal renderings of some of my favorite ancient texts, but certainly not read by a wide audience. Every once in a great while I will do a translation on request for someone; and even more rarely I will do a translation for a particular person as a sort of gift. But, once again, these are personal exchanges and experiences, usually only done for an audience of one. So, what are other translations missing? Well, not necessarily anything. But they aren’t my own…. I am very excited whenever I have the opportunity to receive an advanced reader’s copy of a book from the New York Review of Books Classics collection. 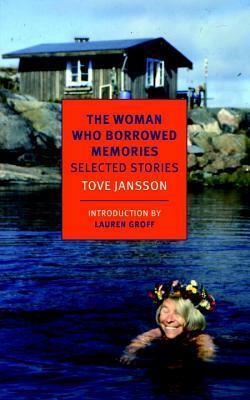 All of these stories were originally written in Swedish and this collection of short stories is the first English edition of Tova Jannson’s stories. This collection of short stories is divided into four sections, the first of which is entitled “The Listener” and was originally published in 1971. I found the stories in this part of the collection to have a dream-like, almost surreal quality to them. In the story that is the title to the collection, “The Listener”, a woman who is called Aunt Gerda has always been a great listener to her family. She listens intently to all of their stories and woes and when she is about fifty-five years old her personality starts to change. She seems to forget names and people and starts to spend a lot of time by herself.